On July 19-20, 2018, graduates and participants of the Tomorrow’s Lawyer Program participated in training to improve their mediation skills. 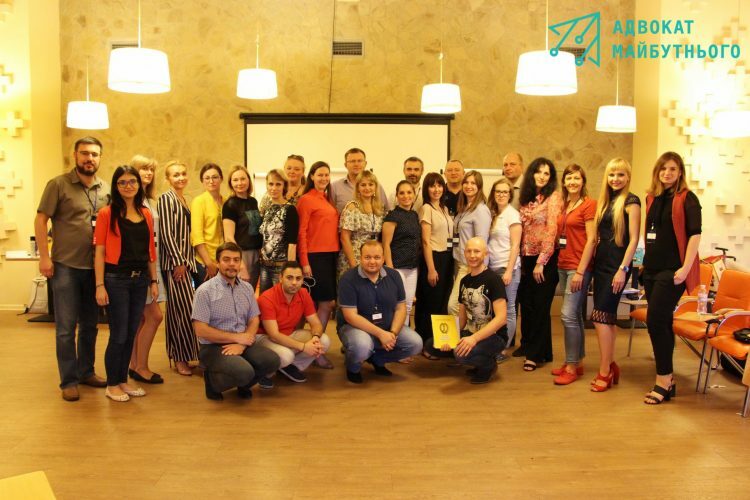 “Mastering Mediation Skills: Training for Lawyers” was organized with the support of the United States Embassy in Ukraine and the Quality and Accessible Legal Aid (QALA) Project. Experienced mediators and trainers Roman Koval and Alyona Horova worked to improve lawyers’ skills. Andriy Kostin, expert of the “Tomorrow’s Lawyer” Program provided his professional support during the training. The training consisted of a theoretical and practical part. Each lawyer had an opportunity to test himself as a mediator. The training covered the following topics: winning mediation strategies, approaches to conflict resolution, professional mediator skills, managing emotions in the mediation process, the difference between the role of the lawyer and the role of the mediator, etc. Among the participants of the training there were lawyers from first and second hundreds of the “Tomorrow’s Lawyer” Program. Thus the inter-modular event has become one more communication platform for participants from different groups and even hundreds. The opinions expressed in this article are the author’s own and do not reflect the view of the “Tomorrow’s Lawyer” Program, the Ukrainian Bar Association, the Bar Association of Legal Aid Providers, the Quality and Accessible Legal Aid in Ukraine Project, the Canadian Bureau for International Education, or the Government of Canada and the Law Enforcement Section of the United States Embassy in Ukraine.